Originating in 1981, the Baton Rouge Blues Festival is one of the oldest blues festivals in America, first held on the campus of Southern University. The festival, produced by the Baton Rouge Blues Foundation, honors the legend of home-grown blues artists like Slim Harpo, Rudy Richard, Silas Hogan, Whisperin' Smith, Guitar Kelly, Schoolboy Cleve, Chewin' Gum Johnson and Raful Neal. 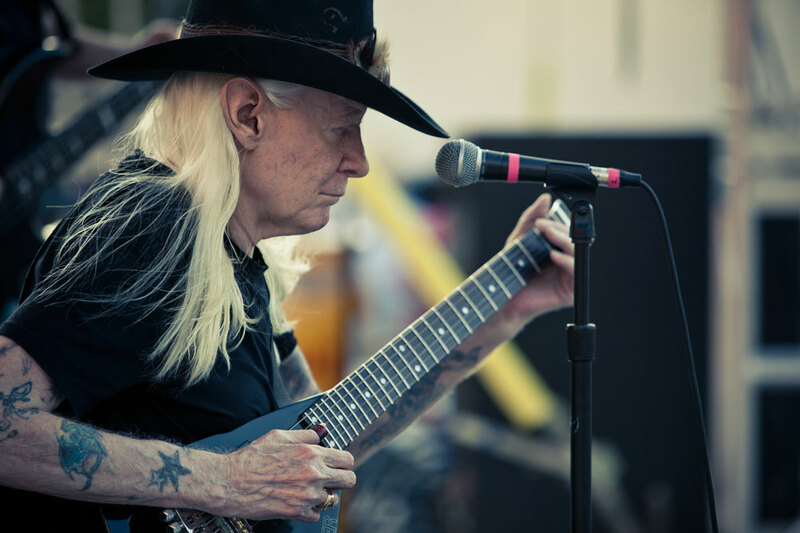 Expanding outside our backyard, the festival has brought in nationally and internationally recognized names like Bobby Blue Bland, Marcia Ball, Phil Guy, Larry Garner and Charlie Musselwhite—including hometown favorite, the legendary Buddy Guy in 2016. Visitors and locals alike are encouraged to further their Baton Rouge blues experience beyond the festival at hangouts like Phil Brady's (with the longest-running 21-year Thursday night blues jam around) and the inimitable Teddy's Juke Joint in Zachary, Louisiana. Click the photos above to see some of the recent Baton Rouge Blues Festival lineups. The festival took a hiatus from 1994 to 2008. Earl King and George Porter Jr.